Meeting at the airport on arrival of the flight.Transfer to Riad. 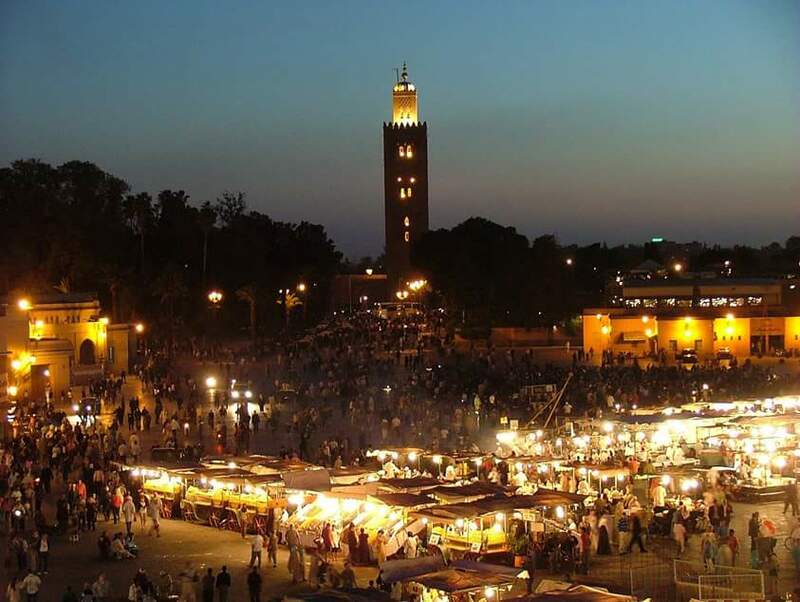 Free day in which you will delve into one of the imperial cities visiting famous Jemaa el Fna where you ‘ll find a wide variety of outdoor activities . After a hearty breakfast, we will again turn to the road to Todra Gorge , to stroll through its imposing canyon with walls over 150 meters high .They are basically almost vertical rock formations caused by erosion from water and wind .We will open ourselves to the desert road passing through the palm grove of Tafilalet . 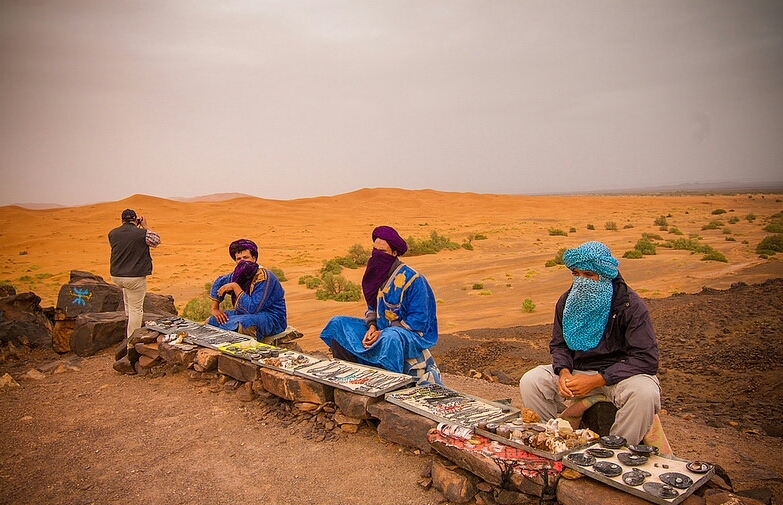 Check in the hotel on foot of dunes, where you can walk the fine sand of the Erg Chebbi Morocco, You’ll enjoy breathtaking scenery.At night you will enjoy a delicious dinner .Overnight at hotel. Breakfast at the hotel.Continue our journey around the dunes of Erg Chebbi.Discover how and where nomadic families living areas , spectacular landscapes, small desert towns. 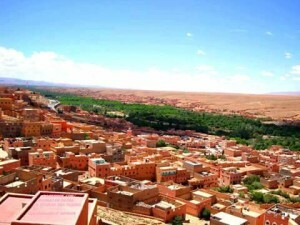 Departiremos we will live and food to a typical Berber family. 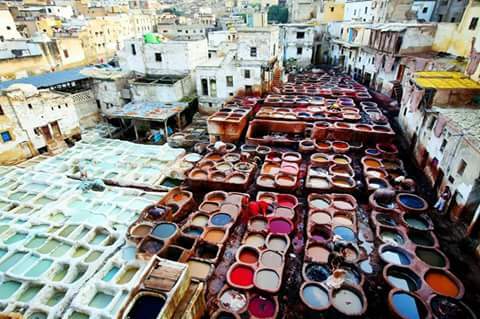 Closely know their customs and way of life. 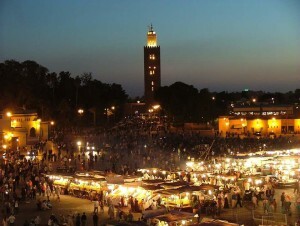 After the visit we the people of Khamelia, native people of Mali that will make us enjoy a nice concert of Gnawa music. Back at the hotel waiting for us to leave the camels on a route of almost half an hour to get to the heart of the desert and watch the beautiful sunset. You enjoying an exquisite dinner, Moroccan tea and drumming around the campfire you can see the majestic canopy of stars that nature gives us. Simply spectacular. Accommodation in Haima . Early morning wake up to see another great show happened in the dunes of the Sahara opens a departure from Sol. 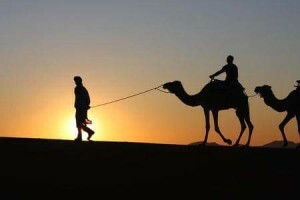 Climb back on the camels back to the hotel .Take a good shower and a hearty breakfast. 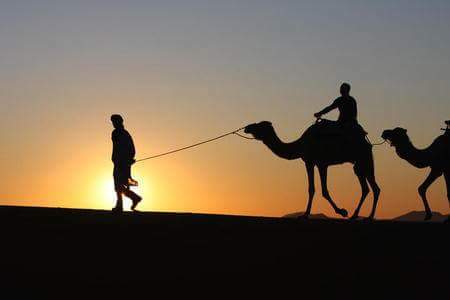 We continue our walk towards Moroccan land Rissani where we will visit what is considered the southern country’s largest and most authentic traditional souk in Morocco . Continued our way via Erfoud , cross the impressive Ziz Valley , with more than 18,000 palm trees to reach Midelt , a city with a major apple production. Stop for lunch and continue towards Fez, passing by a cedar forest where you can feed and photograph a community of friendly monkeys that inhabit this place and Ifrane better known as the Moroccan Switzerland. Arriving in Fez, another of the four Imperial cities .Overnight at hotel. Breakfast.Airport Transfer to the scheduled flight departure.Farewell .End of our services.